Today's Prompt: Health haiku. Write a haiku about your health focus. 5 syllables/7 syllables/5 syllables. Write as many as you like. I hate to break your Asian-verse-loving hearts, but I'm not going to do any haikus today. I've beat this dead horse a few times. Once here in a thread at TuDiabetes and again here on my blog during last year's HAWMC challenge. But in keeping with the prompt for today, I'm definitely going to talk poetry. 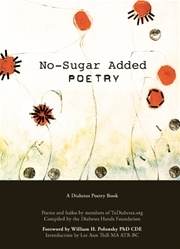 In 2009, the Diabetes Hands Foundation (the nonprofit that runs TuDiabetes and EsTuDiabetes) sponsored an awareness initiative in the form of a poetry contest called "No Sugar Added Poetry." Over the course of four weeks, we selected submissions that best told the stories of how our members' lives had been touched by diabetes. And then, in 2010, we published a book with the winning entries. It was the dream of one beloved member and I was so happy to help it come to fruition. I was also happy to contribute two pieces of my own poetry to the book. Here is a video of me reading one of them for a fundraiser for the foundation. Well, we're doing it again. 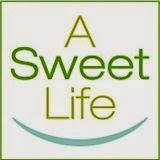 This year's contest submission period begins today, Friday, April 6, and ends April 27, 2012. As before, there will be prizes for the weekly winners and the possibility of another publication. I enjoyed your video reading very much. That sounds like a wonderful fundraiser and contest.